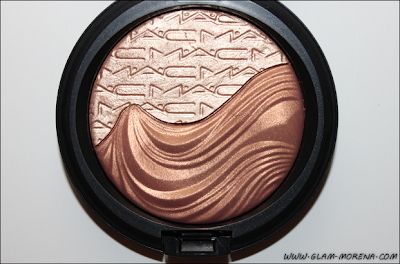 Glam Morena: MAC In Extra Dimension Collection. 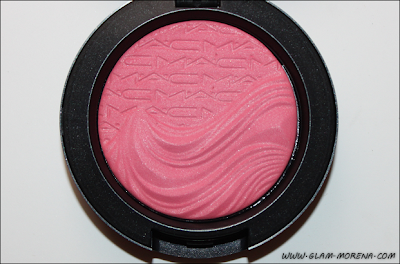 MAC In Extra Dimension Collection. One MAC collection that I was really anxious for this year was the In Extra Dimension Collection. 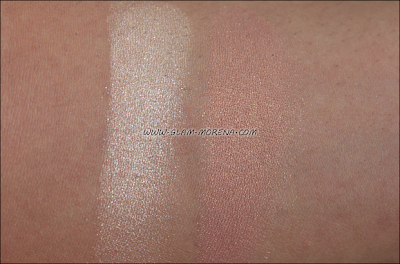 I fell in love with the Extra Dimension Skinfinishes from last year! This year's collection features Extra Dimension Skinfinish duos. 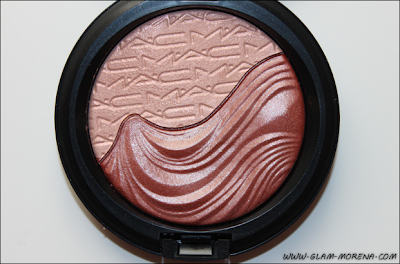 The collection also includes Extra Dimension Blushes, Extra Dimension Eyeshadows, and so much more. My MAC In Extra Dimension Collection Haul. Be sure to watch the video for close ups and my quick thoughts. 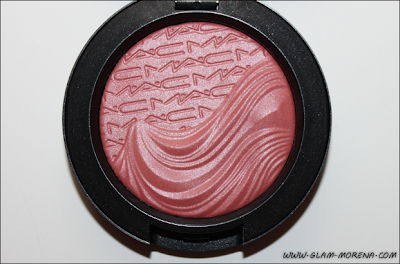 MAC Extra Dimension Blush: A liquid-powder blush with prismatic reflections in five shimmering shades. Impact ranges from sheer crystallized light to a highly polished metallic effect. Lasts up to 6 hours. 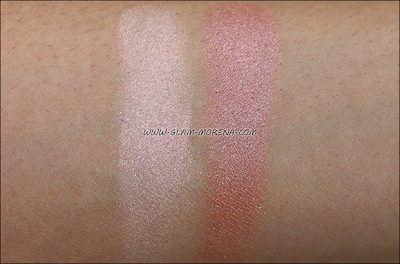 Swatch of the Extra Dimension Skinfinish in Double Definition. Swatch of the Extra Dimension Skinfinish in Shape the Future. 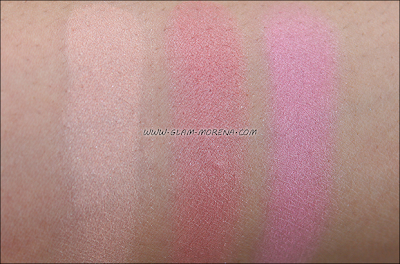 Swatches of the Extra Dimension Blush in Blazing Haute, Fiery Impact, Flaming Chic. Did you buy anything from In Extra Dimension? Thoughts? Favorites? 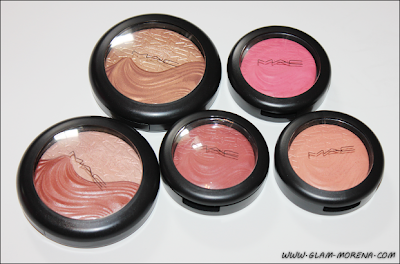 i swatched these in the stores and I love the skinfinishes!